Photo Report by Daniele Faccioli. 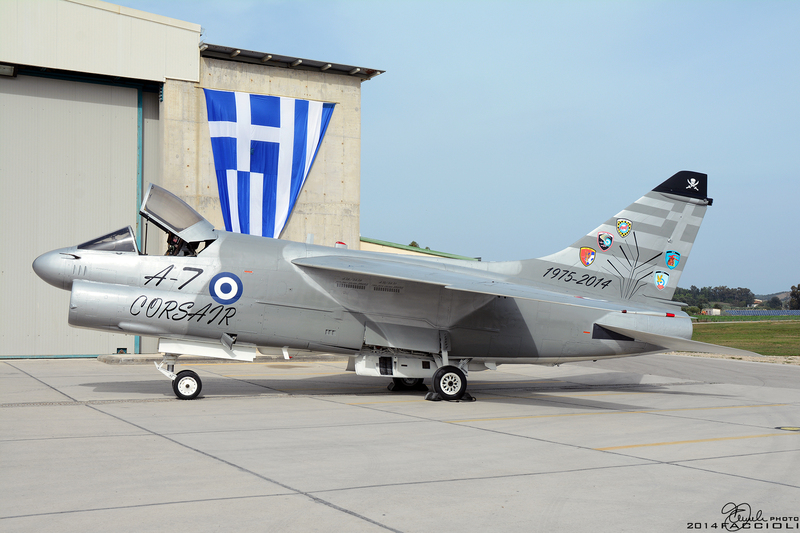 On October 17th, 2014 The Hellenic Air Force (HAF) held an official retirement ceremony for its Vought A-7 Corsair IIs at Araxos Air Base, home of 116 Combat Wing. Operating the world’s last airworthy Corsair IIs, 336 Squadron decommissioned fifteen A-7E and two TA-7Cs at the event after thirty-nine years of active service. 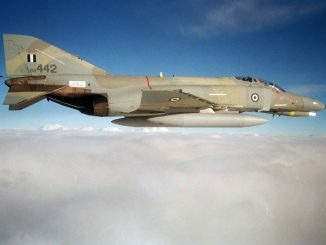 The Hellenic Air Force acquired sixty A-7Hs and five TA-7Hs from Ling Temco Vought between 1975 and 1980. Between 1993 and 1994 the HAF acquired additional aircraft, fifty A-7Es and TA-7Cs freshly retired from the US Navy after the first Gulf War. Greece operated a fleet of 133 Corsair IIs which made them the largest international operator of the type. 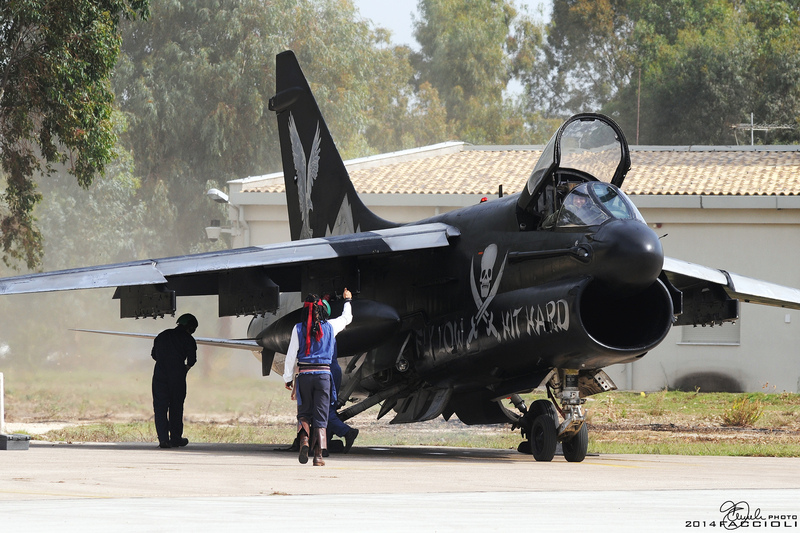 Portugal and Thailand were the other overseas A-7 customers. The A-7 Corsair II saw service in five HAF squadrons, flying a total of 355,000 sorties and 440,000 flight hours. 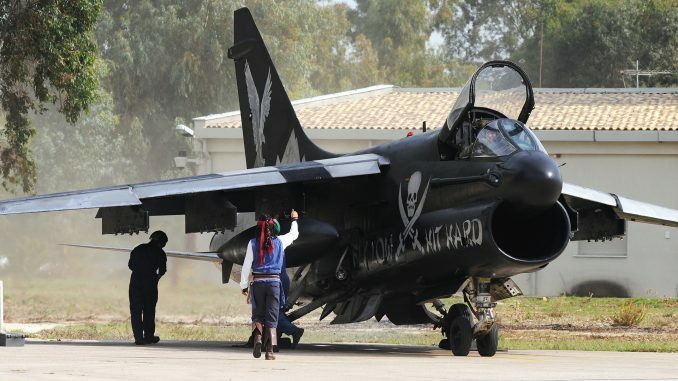 In the Hellenic Air Force, Corsair IIs were initially stationed at Larissa (347 Squadron “Perseas”) and Souda (340 “Fox” and 345 “Lailaps” Squadrons respectively). In 2002, the Corsairs were consolidated at Araxos Air Base (116 Combat Wing, 335 squadron “Tiger” and 336 squadron “Olympos”). 336 Squadron, the HAF’s second-oldest squadron, is scheduled to receive half of the co-located 335 Squadron’s Lochkheed Martin F-16 Block 52+ Fighting Falcons, thus continuing its operations. The special livery applied to this Corsair is elegant and yet traditional. Thanks to Daniele Faccioli for the pictures. 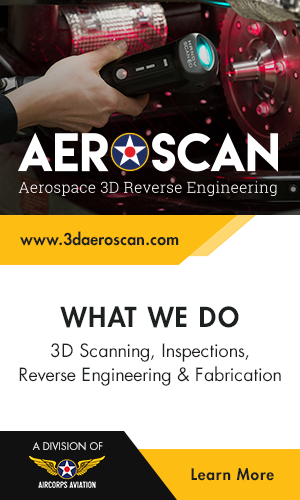 Click HERE to visit Daniele’s website.